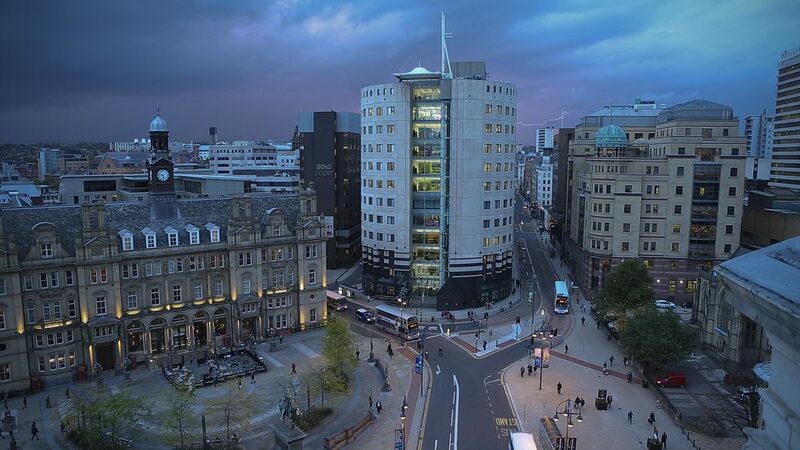 Leeds is a city with a long and colourful history, so it should come as no surprise that it is also home to more than its fair share of haunted locations. The spirits do not seem to discriminate when choosing the type of building that they choose to haunt with everything from ordinary family homes to old hospitals and entertainment venues seeming to boast some type of paranormal activity. If you are brave enough to set out and explore haunted Leeds then these are some of the haunted places in Leeds that need to be on your short list. 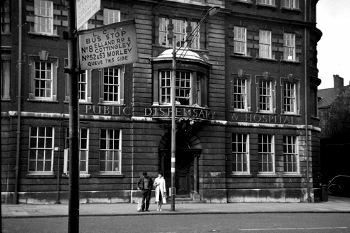 The Old Leeds Dispensary was once a hospital and at one time it was also the home of the Leeds Deaf and Blind Society. It is now known as Centenary House and even although it is no longer in use, that does not necessarily mean that it is empty! 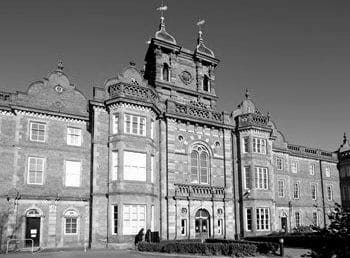 Former staff and patients who spent time in the hospital have spoken of a man wearing a suit who walks the corridors and of groups of ghostly children running all over the building. 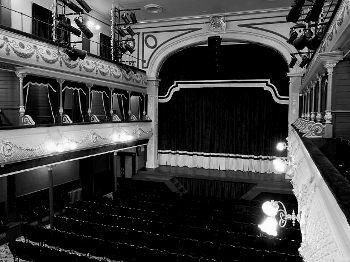 City Varieties Music Hall opened in 1865, although back then it was known as Thornton’s New Music Hall & Fashionable Lounge. It is one of the city’s most beloved live entertainment venues and it is also a hotbed for paranormal activity! Some of the strange things that have been reported through the years include a man in a bowler hat sitting by the piano, a pair of disembodied legs walking up the stairs, a gentleman wearing a First World War coat and a variety of poltergeist activity (slamming doors, cold spots, heavy breathing and touches from unseen hands). However, the most persistent of the spirits here seems to be the white lady. This apparition is said to be a female vocalist who once performed at the music hall. One witness claims that he spent the night in the music hall and slept in the dress circle’s bar. He says that he was woken in the night and noticed the room was ice cold. It was then he spotted a woman in a crinoline dress standing over him. He screamed in fright and the woman seemed to just vanish into thin air! The building that is now Thackray Medical Museum was at one time the workhouse for St James’ Hospital. Now it house various exhibits that chart the history of medicine. However, relics of the past are not the only thing that this particular building has to offer. It also has a reputation for being incredibly haunted! There are plenty of strange occurrences reported in the museum on a regular basis including unseen footsteps, strange knocking and unexplained banging. There are also various spirits seen roaming the property including a man in a white coat who walks the ‘Victorian Street’ – perhaps the spirit of a doctor ho once worked at the hospital. There are also reports of a woman in 18th century attire who is often seen waving at visitors to the museum. 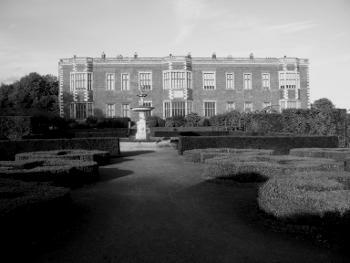 Temple Newsam is one of Leeds’ crowning jewels. The impressive building is one of the best remaining examples of Tudor-Jacobean architecture and in its 500 year long history the walls have witnessed many historic moments a few of which are sure to have left a mark. Temple Newsam is on of the most haunted places in Leeds and it is actually home to not one, but two of the most famous Leeds ghosts. One of the ghosts said to roam these grand halls is the blue lady of Temple Newsam. She is thought to be Lady Mary Ingram, a granddaughter of Sir Arthur Ingram who first bought the estate, which actually remained in the Ingram family until 1922. Lady Mary died two weeks after she was robbed. The other famous ghost seen in Temple Newsam is one Phoebe Grey, a nursemaid who worked at Temple Newsam and who was brutally murdered on the estate by another servant William Collinson. Leeds Crown Court is not a particularly old building. It only dates back to around 1974, but it does stand on the site of a former fire station which rather ironically burned down! 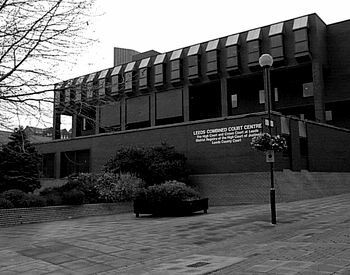 However, despite being relatively young compared to some of the other buildings we have mentioned, Leeds Crown Court is one of the most haunted places in Leeds! 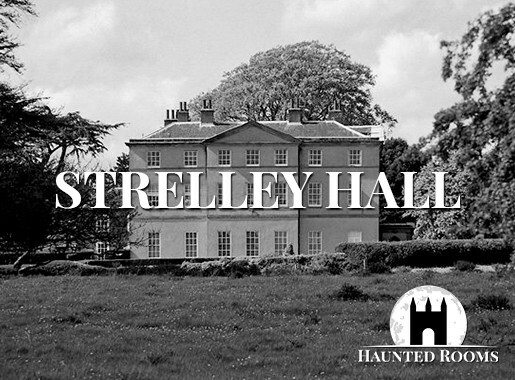 Several members of staff have reported spotting the ghost of an elderly and balding man walking around the building. One particular sighting comes from a security guard who says that she saw him walk down the corridor towards one of the courtrooms and decided to follow him. However, when she entered the room it was empty and all of the exits were locked. She was not afraid of the ghost and affectionately refers to him as ‘Fred’. However, one of her colleagues claims to have seen a similar man crouched in the corner of the same courtroom and was so afraid that he now refuses to be alone in the building! In an inter sting coincidence, the site on which the court now sits is recorded as having been the centre of some paranormal activity back in 1874! Reports from the time say that large crowds would gather there trying to catch sight of the ghost that was reportedly seen there and often there would be so many people that the crowd obstructed traffic and caused a general nuisance! 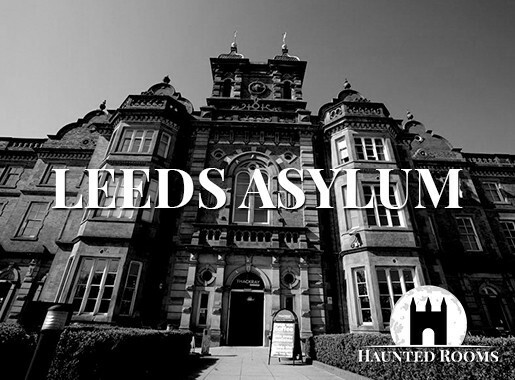 The House of the Hassetts has a reputation for being one of the most haunted places in Leeds. 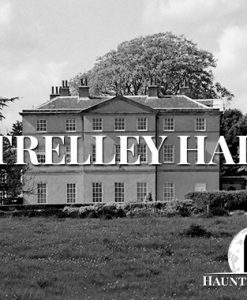 So haunted, in fact that the Hassett family have previously invited various paranormal television shows into their home in the hope of shedding some light on the paranormal activity that they are experiencing. Just some of the strange things that the Hassett family have experienced over the years include strange noises from all over the property, voices coming from the fireplace and pictures mysteriously falling off of the walls on a regular basis. The family dogs refuse to enter the house’s cellar and the owner of the house, Phil Hassett claims that he has been woken up during the night by some unseen person shaking him violently by the shoulders! 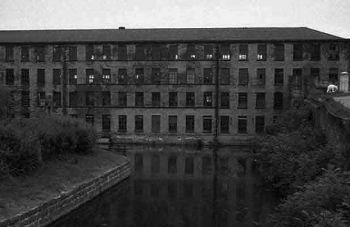 At one time, Armley Mills was the world’s largest mill. However, in 1788 the mill was destroyed by a fire and had to be rebuilt completely by the well known industrialist Benjamin Gott. It is this replacement building which still stands today and houses the Leeds Industrial Museum. 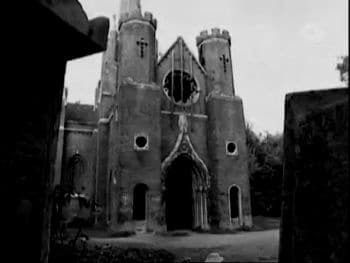 The building certainly has some tales to tell and just some of the paranormal activity that has been reported by both staff and visitors alike includes slamming doors, a small boy crying, door opening of their own accord and even visitors being violently pushed by unseen hands. Two of the most commonly reported apparitions take the form of a tall figure wearing a top hat and a woman in black Victorian era dress. 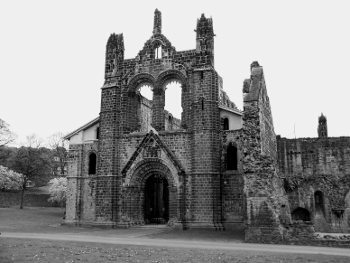 Kirkstall Abbey dates back to the twelfth century and although Henry VIII’s Dissolution of Monasteries led to it being abandoned, to this day the ruined abbey remains one of the most stunning tourist attractions that Leeds has to offer as well as being one of its most haunted! Both the ruins of the Abbey and the museum that goes with them are said to be haunted. The spectre of a woman named Mary who is said to have witnessed her husband committing murder and then turned him in to the authorities is often seen wandering the grounds of Kirkstall Abbey perhaps forever haunted by the guilt of betraying her husband. 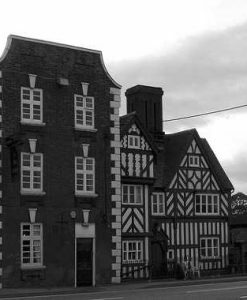 Meanwhile, the Abbey House Museum which stands next to the ruins is said to be inhabited by the ghost of John Ripley, the Abbey’s former Abbott. The building that now serves as the museum was originally a gatehouse for the Abbey, although it has been heavily remodelled over the years. It opened as the museum in 1927 and had a live in caretaker called Kate Hatfield. She was the first to report sightings of the Abbott saying that she was often disturbed by doors on the first floor opening and closing and the sounds of a cloak swishing along the floor. In 1944, her niece reported seeing a man in a rough brown habit, ever since then he is frequently spotted wandering around the museum.